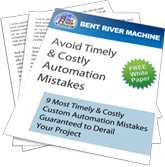 Bent River Machine provides a Manufacturing Process Assessment. The intent of the assessment is to evaluate a specific manufacturing process, or manufacturing of a product, or the all manufacturing operations to identify improvements in quality and/or productivity. The process is comprised of three different phases and produces four specific deliverables. Future state KPIs and expected performance. The benefit of the Manufacturing Process Assessment is a long-term strategy focused on implementing manufacturing technology to give a competitive advantage in meeting customer demand. Additional benefits include reduced cost of NRE (non-recurring engineering) by standardizing equipment, reduced maintenance costs by standing components, compatible with future upgrades to SCADA/MES/ERP. All of which leads to higher margins and faster Return on Investment in the future state. 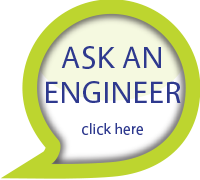 Contact Bent River today and see if the Manufacturing Process Assessment will help you on your next project.